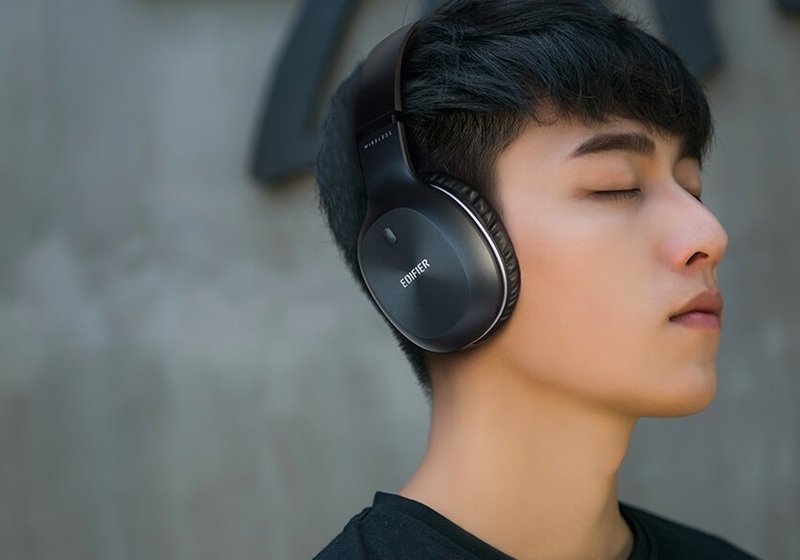 We were somewhat underwhelmed by the last pair of Edifier headphones we reviewed, so when the W800BTs landed on our doorsteps, and we discovered they retail for about the same as the previous pair, we decided not to hold our breath. However, we soon found out that, where Edifier are concerned, low cost does not always mean low quality. We check out the Edifier W800BT Headphones. As you might have guessed, the BT in the name does indeed refer to Bluetooth, making the W800s totally wireless... if you want. One thing we've always liked about large, over-ear Bluetooth cans like these is the option to plug in a phono cable should you wish to take the traditional wired route for connection. Bluetooth is handy, but you don't always need or want to rely on it. Edifier boasts that, once charged over a period of three hours, the W800BT's battery will offer a whopping 35 hours of playback, and more than 400 hours of standby. We didn't believe that, as that has to be the longest battery life of any Bluetooth product we've ever reviewed - and remember, these are currently just a hair more than £30. But (and this is a significant But), after two weeks of use, dipping in and out of using them for maybe a couple of hours each day, they're still going! If you're wanting these for some immersive tunes on your commute to work and back each day, you'll only have to charge them every fortnight, which is hugely impressive. 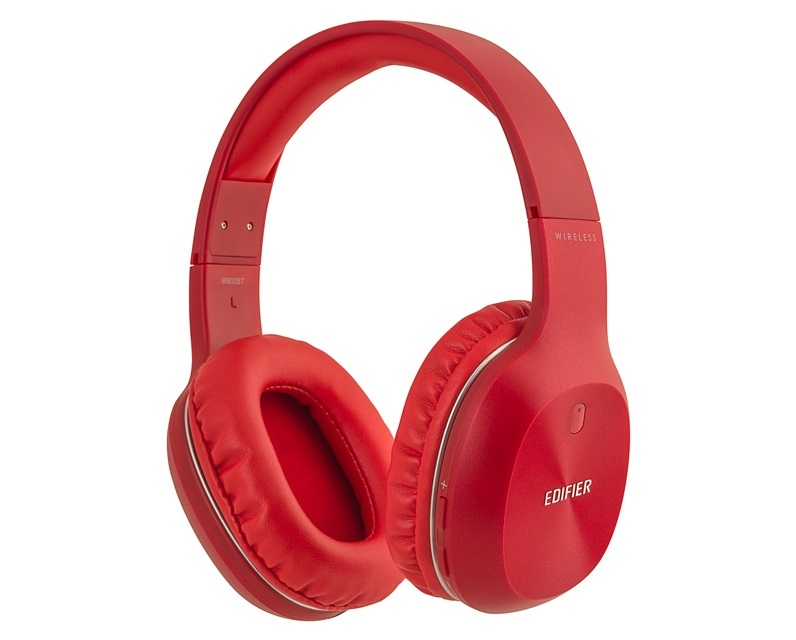 The comfort of the cushioned pads and flexible headband was also a treat, and we found that wearing them for extended periods didn't result in that 'squashed-ear' headache that headphones like these can often cause. They look nice, too; clean, minimal lines and a choice of three colours. Right, the sound. As we said, the Edifier W800BT Headphones performed very well, and over both Bluetooth and the phono cable, they sounded like far more expensive cans. Although the lack of resounding bass gave them away somewhat, every genre of music we threw at them was deep, crisp, and clear. Also, thanks to those large cushions around each of your ears, they act well to block some ambient sound, meaning there is no need to crank up the volume, even in relatively noisy environments like a bus or train. We were genuinely taken aback by how much we liked these things. 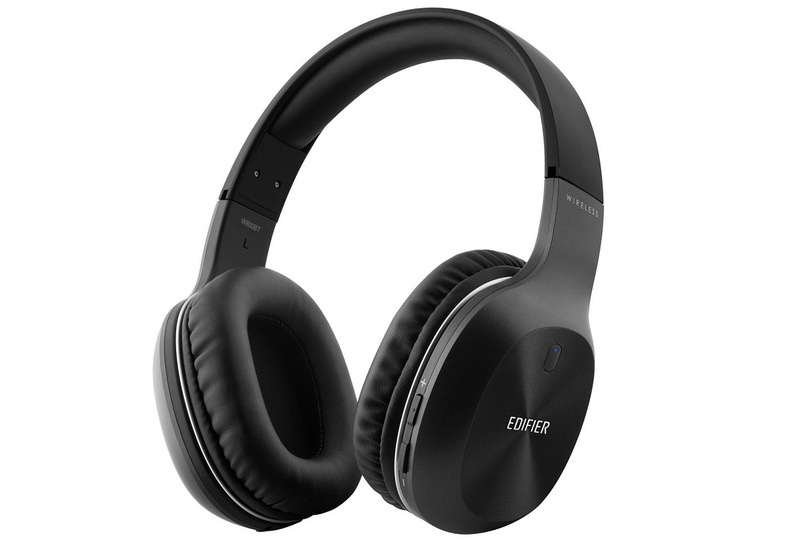 Finding decent Bluetooth headphones for so little dosh is rare these days, but the Edifier W800BT Headphones tick plenty of boxes in terms of sound and practicality. If you're on the look-out for some occasional wireless cans, but are on a budget, you should definitely consider them.